Complete the form below and a Motorola Solutions representative will contact you shortly. Every day, your officers face challenges and threats as they keep their community safe. Whether they are capturing video, prosecuting or defending a case, they need a video evidence system they can trust. A solution that discourages escalation during an incident and sheds light on challenging situations. For over 85 years, we've delivered purpose-built mission-critical systems to help you serve and protect. Body-worn cameras are no different. We study public safety work and design solutions around the real-life challenges you face. Because we know how critical your job is, we're committed to helping you do what you do best. As a valued member of the Law Enforcement community, we invite you to participate in an 30-day free trial of our award-winning Si500 body-worn cameras and digital evidence management system. There are no obligations to purchase at the conclusion of this program. simplifies evidence collection so officers are more focused on the task at hand. from the field makes evidence easily and readily available without tying up officers in the station. of a body-worn camera and radio speaker microphone reduces the number of devices worn by an officer. allows you to leverage data to avoid extra administrative work. keeps content organized and searchable so you can easily find the evidence you need. for redaction helps quickly fulfill information requests to improve community relations. allows you to store and easily access media from multiple sources securely and affordably. protects digital evidence and helps maintain it's admissibility in court. ensures content is not altered or tampered with in any way. means content stays secure from capture to courtroom. Q: Can I extend my 30-day trial? A: Please reach out to your account representative to discuss. Q: When does the 30-day trial period start? A: The trial period begins when the Si500 body-worn cameras are in hand with the customer, the CommandCentral Vault instance has been set up, and the customer has participated in comprehensive user training. Q: What is included in the trial kit? A: Up to five (5) Si500 body-worn cameras, all body-worn camera mounting and energy accessories, and complete access to all modules and capabilities in CommandCentral Vault along with unlimited licenses. Q: What is included in the White Glove service? A: Weekly calls with a dedicated account representative and a field engineer on-site for set up. Dedicated ongoing service for issues and/or questions that arise throughout the trial. We also have 24x7 support available for CommandCentral Vault at (800) 323-9949. Q: What happens to my video at the end of the trial? A: You have complete ownership of your data. At the conclusion of your trial, you will have access to CommandCentral Vault for 30 days to download any or all of your content. You can save the video in standard, non-proprietary format on your local system. The metadata can also be downloaded from CommandCentral Vault in the same fashion. There is no fee to access or share your data. Our team will make it as simple to end the trial as the initial setup of the trial. Q: What is included in the comprehensive user training? A: Your dedicated account representative will come to your agency and review user training with the officers who will be using the Si500 body-worn cameras and accessories. Your account representative will also walk through how to set-up CommandCentral Vault, including how to do redaction, search content, assign privileges, etc. Q: Can my agency trial more than 5 devices? Q: Please describe our data rights and how we would retrieve our data and information in the event of our relationship being terminated. A: Motorola Solutions does not own any rights to the videos or files stored in CommandCentral Vault. All videos and files are your property. You can download any content that you want to keep from your CommandCentral Vault instance. Q: If I decide to purchase, can I keep my trial CommandCentral Vault instance open? A: Yes, we can convert your trial CommandCentral Vault instance into your agency's fully deployed CommandCentral Vault. Q: What security standards does CommandCentral Vault meet? A: CommandCentral Vault meets all CJIS requirements. 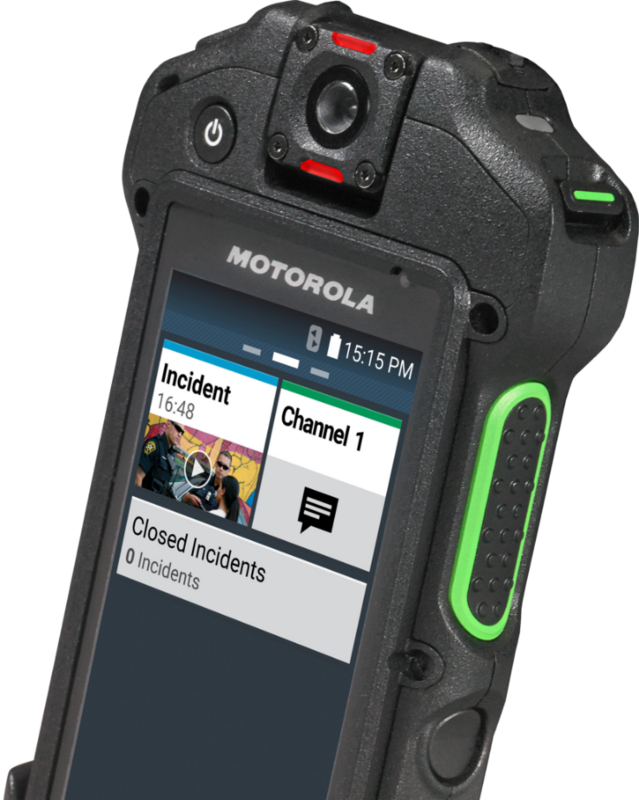 The data stored is always owned by you, the customer, and not Motorola Solutions. All data sharing and access is controlled by you based on user permissions. All personnel that have physical access have passed background checks per CJIS requirements and the data is encrypted at rest. The files are cryptographically secured using the FIPS 140-2 standard. All file transfers are done using SSL.